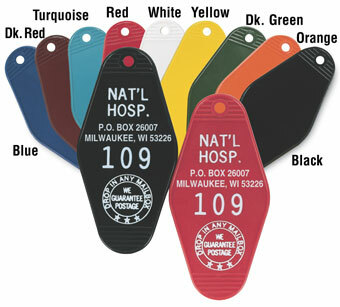 Hot stamping is a versatile marking method that allows for easy customization on a variety of substrates. Requests for personalization and monogramming type and dies have increased dramatically over the last few years and we don't expect it to slow down any time soon. Over the years we’ve helped a lot of customers with hot stamping applications. 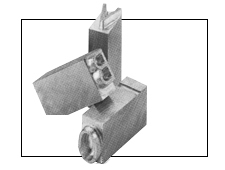 From standard hot stamp dies used for part marking to decorative, custom foil stamping dies we’ve done it all. Check out some of our favorite customer success stories below. 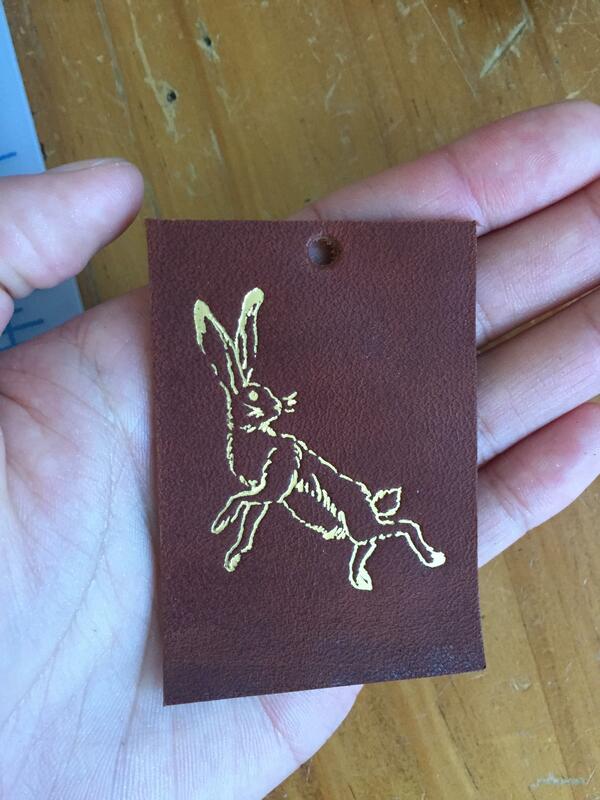 Infinite Series, located in Cambridge, MA, creates simple and timeless leather goods using only the highest quality materials and manufacturing methods. The founders of Infinite Series believe that the pursuit of perfection through craft requires an infinite series of experiments, prototypes and products, and the brand is a reflection of that core philosophy. They design and make every item in their workshop with the utmost attention to detail with the hope that all of their products will be treasured for many years to come. 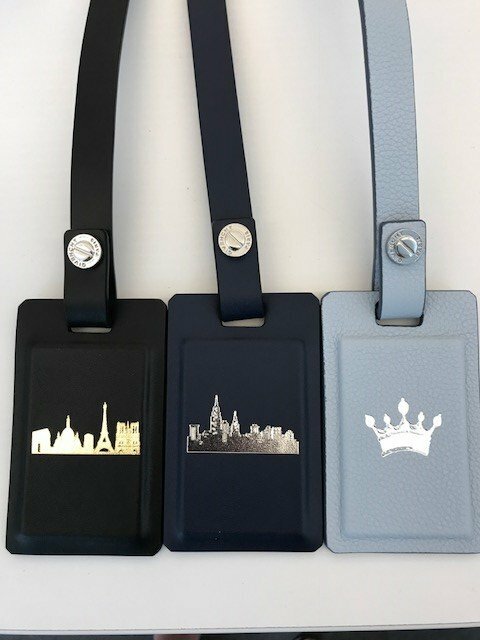 Durable Technologies enables Infinite Series to expand their creativity and differentiate their brand by creating custom foil stamping dies of their artwork to be stamped onto their leather goods and stationary. Over time, Infinite Series intends to create a whole suite of dies that can be used to delineate collections across their product line. Vintage Editions is a specialty wood manufacturing company located in the foothills of North Carolina. They produce a variety of boxes, beer cases, trunks, cupboards, picture frames, fishing rod racks, chalk boards, benches, wine racks, tables, chairs, desks and wooden bars. Using sublimated artwork and embossed printing, they customize numerous promotional and personal items. 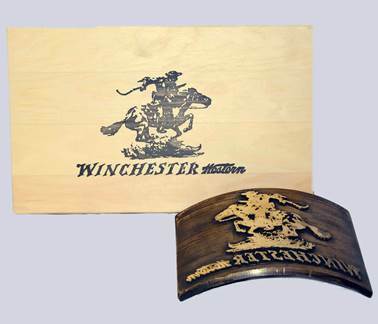 Licensed products exhibiting Winchester and Remington logos are particularly popular. Military, fishing, and other outdoor themes are also favorites. AFM Engineering, located in Santa Ana, CA, specializes in refurbishing, rebuilding, and selling hot stamping and other manufacturing processing equipment. When their long-time hot stamping steel die supplier no longer met their quality and professional requirements they searched the market and found Durable Technologies. Anne Krawitz owns the AKA Bindery in Philadelphia specializing in custom clamshell boxes for valuable books and documents, as well as a full range of bookbinding, book conservation and restoration services. 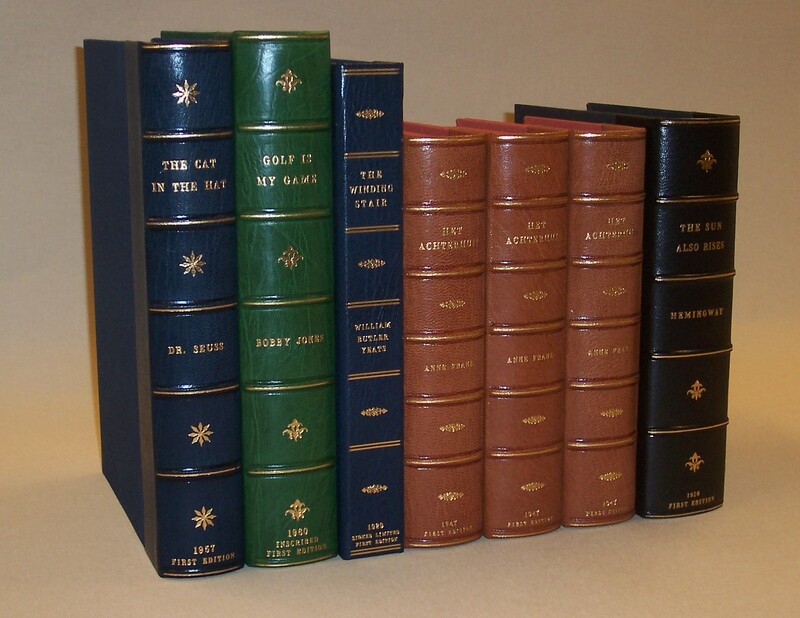 AKA Bindery caters to book dealers, libraries, and private collectors. Kwikprint manufactures top quality embossing, debossing, foil stamping, and imprinting machinery for most hot stamping and printing needs for consumer products. They also offer customized logo printing, foil stamping dies, foil printing, album imprinting, and monogram services to promote businesses. 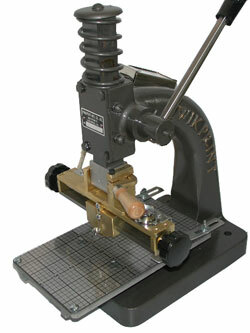 The Vermont Bowl Company, a division of John McLeod Ltd, thinks of brands in two ways; one is the marketing idea of the perception and understanding of what your company stands for and the other is a physical brand, as in a branding iron that permanently imprints the custom wood products they produce. 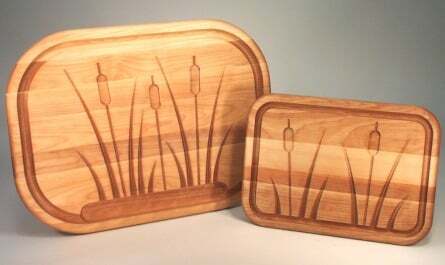 Both ideas come together to allow The Vermont Bowl Company to deliver unique and custom graphics directly marked onto the wide variety of woodenware products they create. Cutting boards, ice buckets and barrels, kitchen products, lazy susans, serving pieces, bowls, and plates are some of the unique wooden ware products Vermont Bowl produces.